One of my favorite dishes that is perfect warm or as a chilled salad. 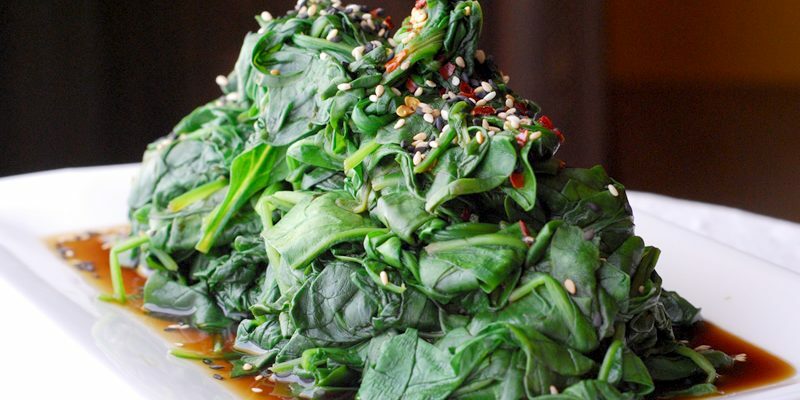 This can be made with any green you chose such as kale, bok choy or any Asian green. 1. Sauté the ginger and garlic in the oil for 30 seconds. Transfer to a large bow and add the soy, rice vinegar, sugar, sesame oil and red pepper flakes. 2. Place the greens in a large stockpot with a small amount of water in the bottom. Cover and steam until wilted about 3 to 5 minutes. Transfer to a colander and drain well. 3. Transfer greens to the bowl and toss with the dressing. Serve with toasted sesame seeds as a garnish.